The results of a new Latino Decisions poll has the media buzzing this morning. Conducted on behalf of the National Association of Latino Elected and Appointed Officials, the poll results show that 87 percent of Latino undocumented immigrants would like to become U.S. citizens, and 85 percent of the undocumented have at least one family member who’s a U.S. citizen. Latino Decisions breaks down the data, providing easy-to-read charts to show what it all means. Still, and I don’t mean to be cynical, but I doubt the poll’s accuracy. I doubt the results of most polls, as it is — how many people were asked? was it done by telephone? and who owns a landline phone these days, anyway? The only way to ensure any kind of accuracy is to conduct a poll over and over again, producing a more reliable average. Plus, when the pollsters unabashedly lean left, like the good people at LD do (much of its publications are pro-Latino and pro-immigrant), then it’s unwise to give too much credence to any of the polls they produce. Non-Mexican Latino immigrants, at 61 percent, naturalize at almost twice the rate of their Mexican counterparts. 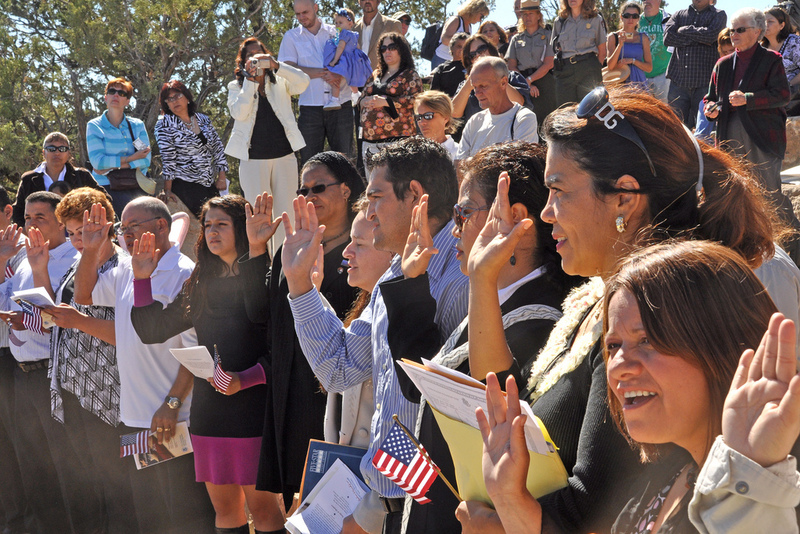 The overall rate of naturalization for non-Mexican immigrants (Latino or not) is 68 percent. When Mexican immigrants are added back into the mix, the rate of naturalization for all immigrants drops to 61 percent. As a slim majority of the immigrant population in 2011, Mexican immigrants are a key group. The most popular reason for not naturalizing was “personal barriers,” the excuse given by 26 percent of Latino permanent residents who haven’t naturalized yet. Of those, a full 65 percent cited the language barrier, and 23 percent said the citizenship test was too difficult. So, coming back to the Latino Decisions poll, I highly doubt the 87 percent of Latino immigrants who told pollsters they’d apply for citizenship tomorrow if immigration reform passed today were being honest — with the pollsters and with themselves. The “path not taken” phenomenon is a serious issue for the Latino community. Millions of Latinos march to the polls year after year with only one goal in mind: to elect someone who will pass comprehensive immigration reform. In the battle to include a pathway to citizenship, Latino citizens are pushing for the ability of Latino immigrants to become citizens, and yet, many of those immigrants will never take that final and most important step. That means a self-imposed second-class citizenry of permanent residents. And that means less Latino votes. If nine out of every 10 Latino undocumented immigrants say they want to become citizens, then Latino citizens must hold them to it. The undocumented must understand the privilege and responsibility that come with being a U.S. citizen, and Latino citizens must impart in our undocumented brothers and sisters the desire to take on the duty and most sacred honor of being an American.